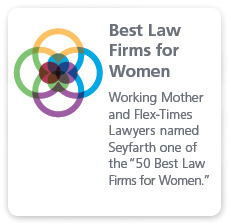 Seyfarth Shaw’s Financial Services Practice Group offers clients experienced employment lawyers who possess profound insight into the business and compliance issues that arise in financial-services litigation. Our depth and experience in this highly specialized area of employment law is unmatched. 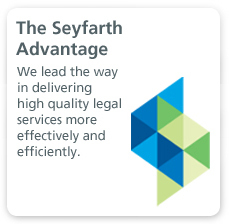 Seyfarth attorneys across the country defend employers involved in virtually every facet of the financial-services sector. 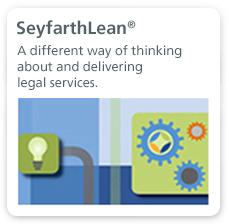 Our comprehensive understanding of industry-specific issues allows us to spot emerging legal and business trends. We have gained our market-leading position by applying innovative and winning strategies, customized to each client’s unique situation. Seyfarth represents investment banks; international integrated financial services companies; broker-dealers; insurance companies; hedge funds and private equity firms; investment advisers; local, regional, national and foreign banks; and venture capital groups. Our experience also extends to additional sectors of the industry, including retail brokerage, institutional sales, insurance, equities and fixed income trading, equities research, investment banking, retail and commercial, and middle and back-office functions. A complete defense award before FINRA for one of the largest market-making firms in the world where a former trader sought $50,000,000 in purported unpaid profits / compensation and an additional $50,000,000 related to penalties and other damages. A complete defense award against an employee in a bank’s commercial real estate group who sought $4,000,000, claiming the bank fired him after he complained about conflicts of interest. A complete defense award for one of the nation's top insurance companies on a U-5 defamation claim pursued by a managing director discharged for failure to supervise. Dismissals of deferred compensation claims by separate FINRA panels at the close of the claimant's case. Voluntary dismissal of a case after obtaining temporary and preliminary injunctions in federal court to force the claimant into the AAA, and staying an arbitration pending before FINRA. Significant victories before FINRA for a top insurance company, including two “walk aways” during arbitration proceedings. Complete defense awards before FINRA for dismissals of wrongful termination claims and recovery of full promissory note value (including fees and interest). A complete defense award before JAMS against a former operations manager claiming disability discrimination and retaliation based on exercise of leave pursuant to California Family Rights Act. A favorable ruling from the U.S. Bankruptcy Court in Arizona that enabled our team to obtain a full release of claimant’s FINRA claims, including the claimant’s (debtor in bankruptcy) right to seek expungement of his Form U-5. Successfully vacating an unfavorable FINRA award in federal court. A U.S. District Court granted summary judgment in favor of a major national bank on claims of race discrimination and retaliation by a former analyst in its asset management business. Summary judgment was granted in favor of a major national bank on claims of age discrimination and retaliation following the termination of a branch employee for violating internal rules regarding a customer promotion event. Our team also has significant experience in asserting claims against departing employees, including motions to compel arbitration, bar class arbitration, and claw back sign-on bonuses and deferred compensation. Practical and important strategic questions faced by financial services firms.